← Syrup of Figs. For Every Occasion. In his two most recent bestselling books, American Dynasty and Wealth and Democracy, Kevin Phillips established himself as a powerful critic of the political and economic forces that rule—and imperil—the United States, tracing the ever more alarming path of the emerging Republican majority’s rise to power. 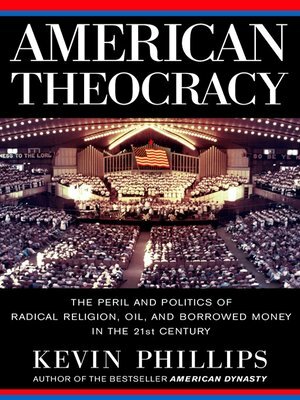 Now Phillips takes an uncompromising view of the current age of global overreach, fundamentalist religion, diminishing resources, and ballooning debt under the GOP majority. With an eye to the past and a searing vision of the future, Phillips confirms what too many Americans are still unwilling to admit about the depth of our misgovernment. This entry was posted in eBook Friday and tagged nonfiction, politics. Bookmark the permalink.